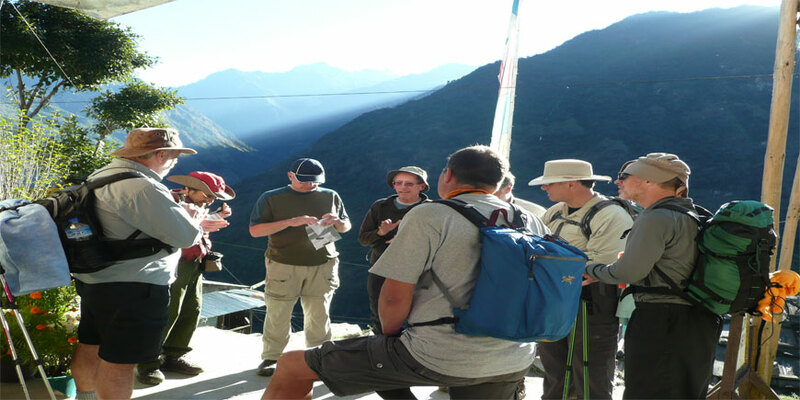 Andrew Greenshaw has endorsed your work as Owner - Trekking Guide at Advent Himalaya Treks PVT LTD. Details of the Recommendation: "Babu Ram Gurung was recommended to me by friends who have known him and engaged his company for a number of years. Eight of us retained the services of his company for a one month Nepal expedition in October/November 2010. Babu is an excellent person with an impressive command of languages who has wonderful people skills. He is committed to provide superb service - works with clients personally to help them define their needs and to set achievable and appropriate targets. He is entirely reliable, his expertise is wide-ranging and he works very well with international groups. His network of contacts within Nepal is very impressive. His staffs are excellent and the teams he builds to support his clients are outstanding. Our experience with Babu and AVT was entirely positive and exceeded our expectations. I will retain his services on my planned 2011 venture in Nepal. I am pleased to recommend Babu Ram Gurung and his company Advent (ure) Himalaya Treks without any hesitation - he delivers excellent service at reasonable costs."